Thanks to our mastermind and creator, Alex J. Cavanaugh, this group is getting stronger every month. 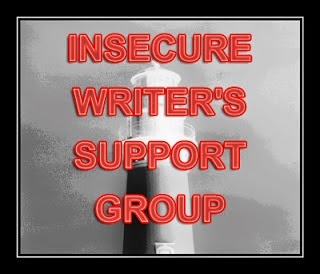 This blog hop is to share our insecurities, support each other and network with other writers. Find the entire list on the IWSG blog or join in the fun on our Facebook page. This month is special in that we'll all be introducing ourselves all over again. With so many new members, we don't all know each other as well as we could. Find the entire list on this IWSG page. 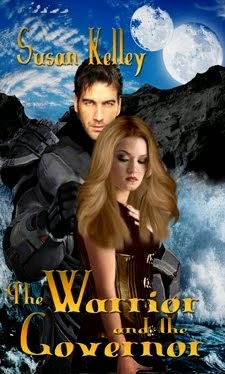 I write high fantasy as Susan Gourley with two different series contracted and in various stages of publications. 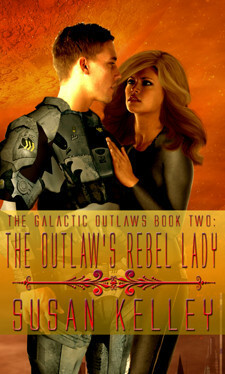 Using the pen name, Susan Kelley, I write science fiction romance with ten books published. As part of the IWSG staff, I'm proud to have been part of The IWSG Guide to Publishing and Beyond. I retired from teaching high school to write full time and make my home in the country where my husband and I have raised five sons and one daughter. I mostly blog about writing with a few other tidbits thrown in for some variety. 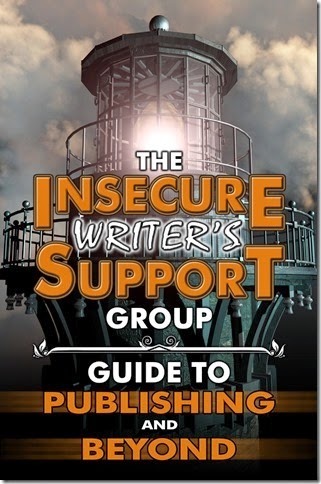 If you're a blogger and writer, being part of IWSG is very low stress. One post per month where you can pour your heart out to those who understand. Once per month when you can ask questions and get lots of advice coming back your way. As writers, all of us like to read. I've seen quite a few blog posts lately where writers talk about how their reading habits have changed since they started writing. Almost all have become more picky about how they use the precious hours when they squeeze in reading time. Some have narrowed their reading lists to books in the genre they're writing while others have found enjoyment in a wider range of genres. Some find they're distracted by pacing, grammatical mistakes or shallow characters more than before they took up the pen themselves. I personally have become pickier in what I read. A book really must capture my interest in the first two or three chapters or I'll put it aside for the next one on the list. I'm pretty forgiving of a few editing errors also though shallow characters can ruin a book quicker than anything else. I have always read a variety of genres and being a writer hasn't changed that one bit. I think being a professional of something does influence your enjoyment of other's work. If you're an excellent cook, aren't you more judgmental in a restaurant than I would be? If you are a proficient musician, you would hear mistakes in a musical production a tin ear like me wouldn't notice. Embrace the changes your writing career has made in your reading habits. And with the new year, lots of publishers and authors are offering discounted books to fill those new devices with. Has writing made you a pickier writer? Are you an expert cook, musician, seamstress or other skill that heightens or lessens your enjoyment of the craft as done by others? Are you sharing a brief intro today? I am a pickier reader. Not only does it need to capture my interest but keep it. I do read a variety of genres. Like you, I can forgive some editing mistakes and deal with some lack of experience in a writer--IF the story is good. I can and do turn off the editing witch. As a result I tend to read authors that tell a good story. I do try new authors and there are some good debut stories out there. One thing I don't tolerate well is sloppy or unprofessional writing, formatting, or dorky obviously photo shopped covers. I figure, if you're putting your name on a book, make it good and if you don't have good story content skills or editing skills, cover art skills, for God's sake, HIRE someone. 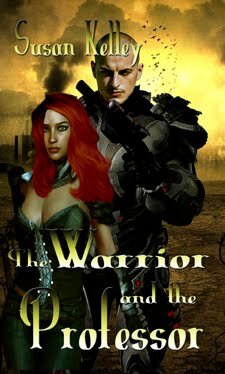 There are few indie authors that I've given a try and haven't made it through the story. I wanted to like it. I wanted to be able to cheer them on but I can't and unfortunately, I don't buy any more of their books. What time and money I do have for reading is spent on quality entertainment. I have become a pickier reader and felt guilty about it. Thanks for the reminder that all professionals are picky when it comes to their craft. At the moment, I'm in the "have found enjoyment in a wider range of genres" category. But I'm also picky. The only genre I have yet to sample is steampunk. Soon. Great point about professionals being pickier re their craft! I used to make myself finish reading a book, whether I was enjoying it or not. Now, if I'm not hooked by the first chapter or so, I move on. It doesn't necessarily mean it's a bad book, just one that wasn't right for me at that time. As a musician, I can definitely appreciate quality guitar playing - and hear when it's not so good. I think I read a great variety now, mostly thanks to my blogger buddies who are authors. And your words about the IWSG are so awesome. Oops, I totally forgot about the intro!!! So no, I guess I'm not doing that today :( Darn! I AM a pickier reader, for sure. I still feel obligated to finish books, but I'm getting better at not letting the guilt rule me. My time is limited! I am absolutely pickier about reading and singing. But it's also a function of time. I don't have time to keep reading something that's not very good or doesn't speak to me. Yeah, the more we know the more we do become pickier on a subject it seems. I'm happy to report I've stretched from just thrillers and mysteries to all sorts of genres, tho I haven't tried Westerns yet. I love your post, Susan. I think I am highly judgemental when it comes to others and their books, and this year I plan to not judge quite so quickly. Instead of judging, I'll simply put the book down and reach for the next one. Happy IWSG. I'm currently trying to shut off my editor brain as I read Outlander. As it goes along I'm getting better at doing that, but I've definitly found my itchy comment-bubble fingers to be a distraction. Of course, I also know that the same thing would happen if I were to ever read my own books in final form, so it's comforting to see that even best sellers aren't perfect. My writing had actually broadened what I read. I find that reading books in many genres teaches me more. Also, since I've gotten to know many authors, I've been reading a lot more books, some books that I wouldn't have picked up otherwise and found many great ones because of that. I've found that I actually read more and a greater variety of books now that I write, that I ever did before. I find reading others work and thinking wow, this is great. Makes me want to get typing and create my own novel more, in the hopes that someone might some day pick that up and be inspired. Wonderful intro and great topic! I have become both pickier and more forgiving. I understand the sweat, tears, and crazed laughter that has gone into a novel. At the same time, I get frustrated by shallow characters, or character development that doesn't seem to make sense. I have moved out of "same genre most of the time" reading into other genres, and I take note of the books that I completely fall head-over-heels in love with - I have a list of them to study for specific techniques. I definitely notice plot holes, time lines, typos, etc., more than before I started writing. I usually look beyond it as long as it doesn't become too distracting. 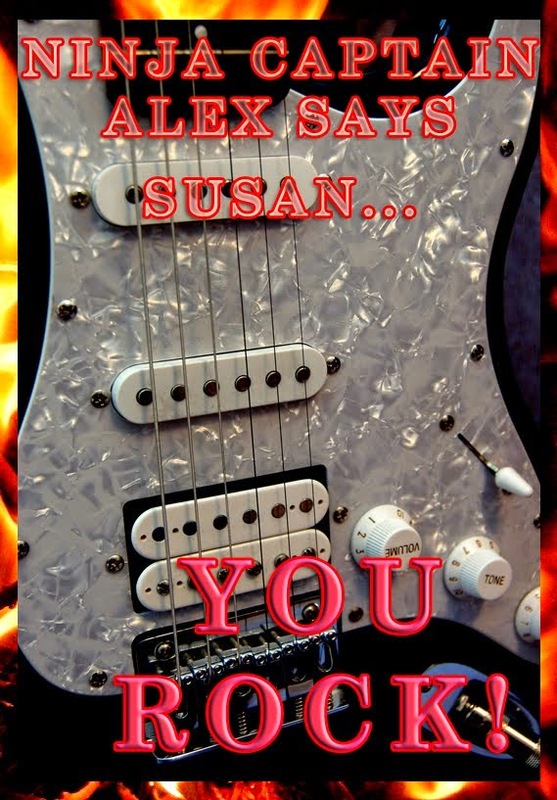 Loved your intro, Susan! I'm definitely a pickier reader, and I also find myself analysing what I read a lot more than I used to. I try to find examples of what I want to achieve with my own work and how other authors pull that off. But I still read for fun! I am much pickier now, and miss my voracious appetite for reading anything. And critiquing and being a part of creating books by others doesn't help any; sometimes I am too judgmental. But weak characters have always been the crux of whether I like a book or not. Yes, I am so picky now that I write. I used to be an avid reader, and now I am looking to read a book every few months. I do start many but toss them aside for one reason or another. I am an artist too, but surprisingly I LOVE other people's art. I really appreciate all of it, no matter how odd. But not with writing. Hmmm. I guess it's more personal somehow. But as an interior designer, I DO HATE BAD design and have no patience for it. Plus I freak over bad color choices... LOL. I do get more picky, but feel if a story is carrying me along, I can forgive a lot of sins. I am a good cook, and I am less forgiving in restaurants. I rely so heavily upon the work of others. Where would I be without the ability to read all those wonderful children's authors of the past and present. I learn so much, Susan. I read mostly fantasy and science fiction. I also read a lot of non-fiction (have to do research, of course), and occasionally mysteries and historical fiction. It's great to get to know you a little better, Susan. I'm also a lot pickier with what I read now too. I've noticed that I can't read a book without analyzing what the author did, what works, what doesn't, and how I can learn from each author. I now take notes with almost every book I read! Ever since I started writing, I have become more and more picky about the books I read. I tend to analyze what worked in the story and what didn't and why it didn't. I cant switch off my writer mind at all. I may not have become pickier but I do cringe more at points where the writing throws me out of the story. Don't give up on a book, usually because I am selective about what I read... although various genres. Range from thrillers and fantasy, to historical, if the story appeals. Also tend to be understanding of the commitment needed to write a book. Agree! I am a much pickier reader now that I'm writing. I don't abandon books any more frequently now, but I am taking different things away from each book. I think part of it is noticing how the writer is achieving certain things like tone, or emotion, or world-building and it makes for a higher threshold for you to get lost in the story as a reader. I certainly think you're right about having greater discernment about those things which we become more immersed in doing ourselves. I tend to be picky about what I read, but once I begin something I'll usually obstinately finish except in very rare instances and even in those cases I usually intend to return to the read eventually. More than once the first third or even half of a book has been a tedious chore to make it through and then I'll reach some point of revelation when I fall under the spell the author may have intended and then I'm in the zone. When a book really stands out for me then I'll remember it and tout it to others. The not so good books just recede into the cobwebbed back halls of my memory though I'll probably leave them with some ideas about how not to write. I'm with Arlee -- when a book stands out as something special, I remember it. But I'm definitely more picky now than I once was. Less time, more taste? I do notice I'm getting picker but I'm not sure if it's because of my writing or if I'm just getting stingier with my reading time. I don't want to waste it on reading what doesn't grab me. I'm glad to say my reading tastes have expanded since blogging (including, um, romance) but I'm definitely also one who wants to read quality work with the amount of books that are out there. Life's short and time's tight. Definitely! Writing has made me examine books for quality writing. Sometimes I wonder what the heck the author was thinking, why the editor published, etc. My book cache has better books now. I think writing has led me to read in more genres than I read in the past. Honestly, being a writer has made me less picky. I've discovered the value in reading outside of my own genre and reading poorly-written books too. Now I just need to find the time to do it!